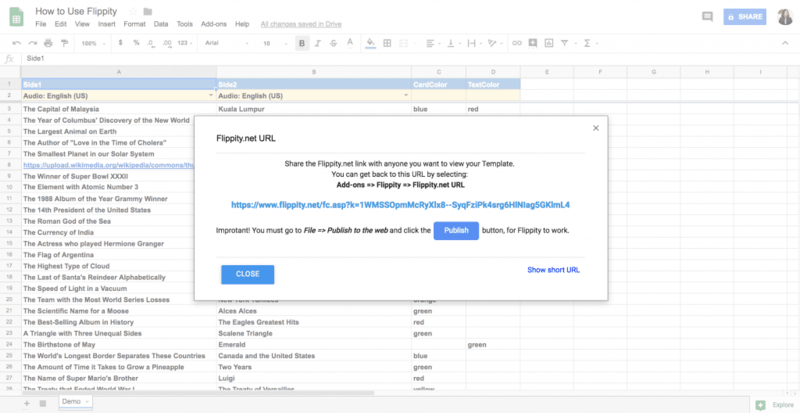 Flippity is one of those add-ons that teachers can use to create interactive, online education tools with spreadsheets. Teachers can enhance the educational experience of their students by creating a variety of cool activities in a short amount of time. Originally, Flippity was created to transform spreadsheets into simple, but effective online flashcards, but it has developed into a much more valuable tool! Now you can create things like crossword puzzles, typing tests, educational games, and progress charts. There are so many interesting ways to enhance the classroom when you have blended learning tools like this at your disposal! Blended learning is the combination of traditional teaching and online methods. In an ever-modernizing world, students need to learn the way that they will one day work. This means they need to be highly computer literate. Children need to be exposed to various types of blended media from a young age to become digitally proficient. In addition, they will need to learn to interact and collaborate with others online. This is simply an educational necessity for students of all ages. Unfortunately, many teachers did not grow up in the digital age. Regardless of their own digital proficiency, these teachers are still responsible for providing both traditional and digital classroom environments. Although many teachers are excited about providing blended learning opportunities for their students, they simply don’t always know exactly where to get started. Fortunately, there are people, like the folks over at Flippity, who make teachers lives easier by providing their transformative creations for free! There is no reason that teachers should not be using this easy to use add-on to enhance their learning environment. If you expose students to blended learning methods, they will be more engaged and show more interest in their education. 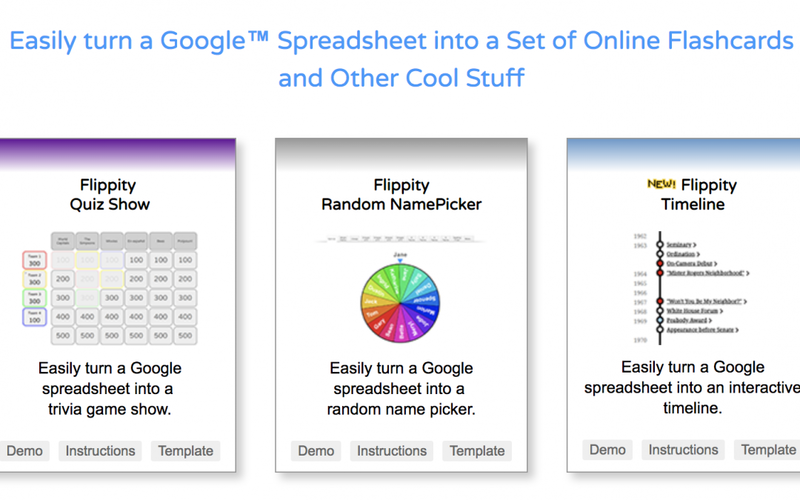 Get started using Flippity to easily create interesting tools from within Google Sheets spreadsheets! These are just some of the things you can create with Flippity! Now let’s talk about how to use Flippity! It is really simple to get add-ons for Sheets! The fastest way to get Flippity is to click this link that will take you directly to the web store. Simply click the Free button and the add-on will be added to your Google Sheets account. Type “Flippity” in the search box. You are ready to start using Flippity! After you have added Flippity to your account, it’s time to get started! First, we will walk through how to make some basic flashcards. First, click → add-ons → Flippity → pick a template. The template carousel will pop up, and you can choose one the of 18 templates available. You can either click demo or use. Clicking demo will take you to the Flippity website, where you can play around with a sample of what the template will look like after it is complete. 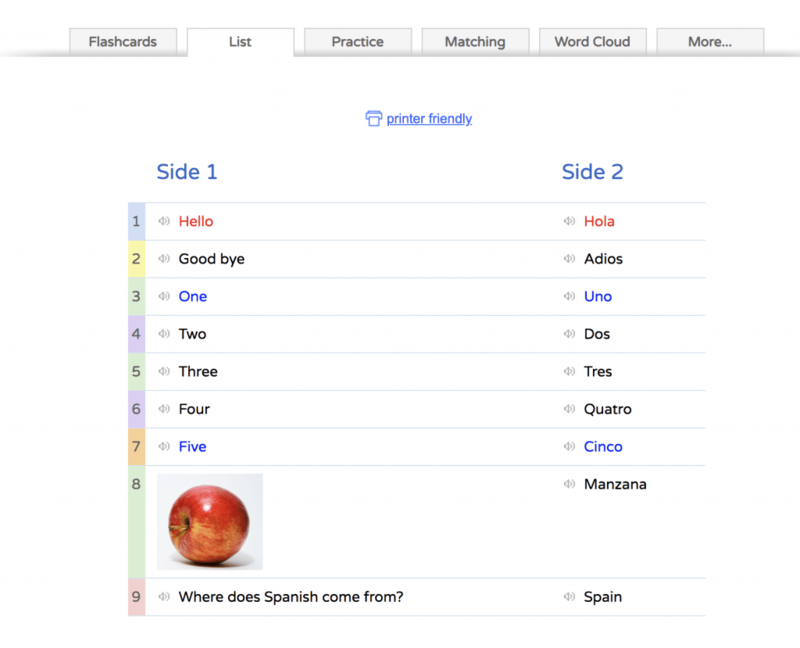 Today we will click use so we can make our own set of flashcards! Flippity will run, and build a template for you. Here you need to take two important steps to ensure that Flippity will work. First, you should copy the URL provided, so that you can share it with your students. Second, be sure to publish the spreadsheet to the web, so that Flippity can access its contents and display them publicly. Flippity will always remind you to do this! Now that you have saved your URL and published the sheet to the web, you can customize the template with your own content. Today I am making flashcards for a beginners Spanish class. You can see that I have changed the audio in column B to Spanish, and added some words in English and Spanish in columns A and B, respectively. 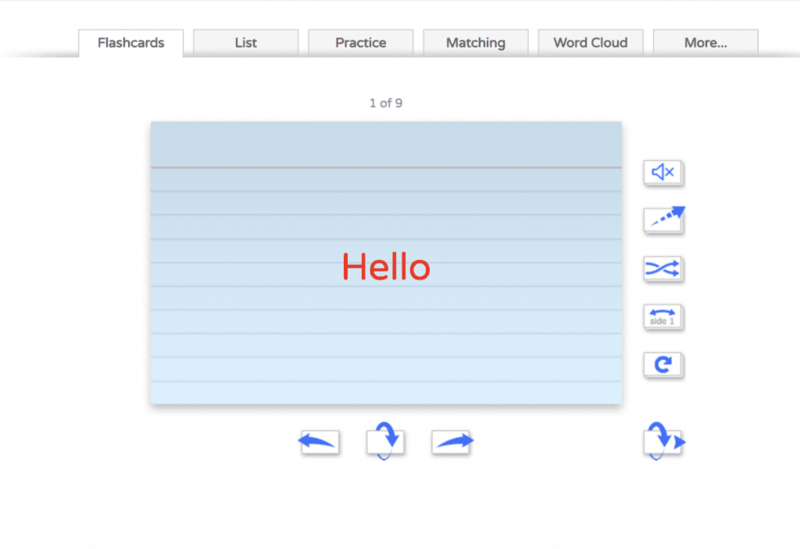 One thing that is really interesting about this tool is that you can add images or videos to enhance the flashcards. Just keep in mind that they will need to be web-hosted like this, and cannot be from your Drive.